Ladies Jessica Multi Coloured Pure Cotton Polo with short sleeves. Ladies Silky Cotton Printed Polo. 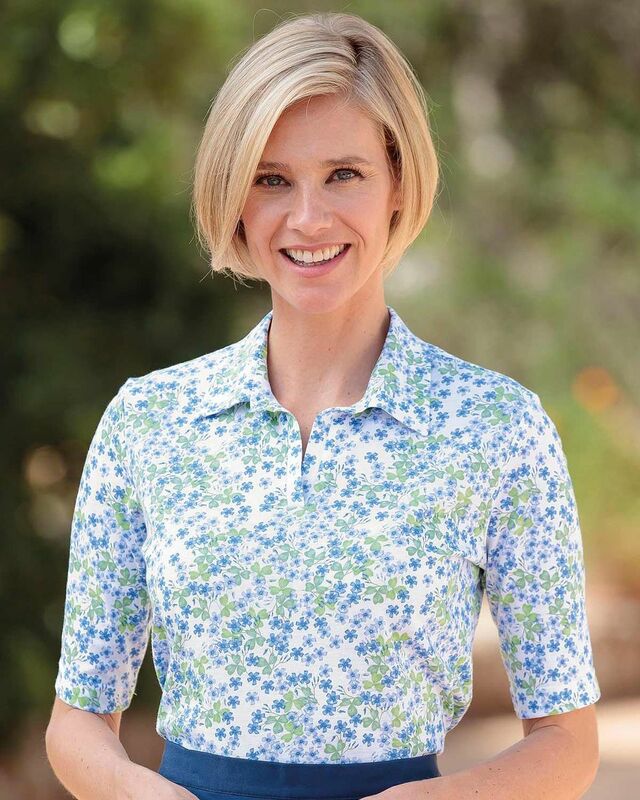 Short sleeved style cut from soft, pure Austrian cotton jersey in blue, green and violet on a white base. Elegant collar with narrow placket, straight hem and side vents. An elegant patterned polo that would be very well complimented by one of our merino cardigans to finish your look.